The trailer gave me some chills seeing it in the theater. My brother-in-law told me the other day that "The Hobbit" will be told in 3 movies now instead of 2. 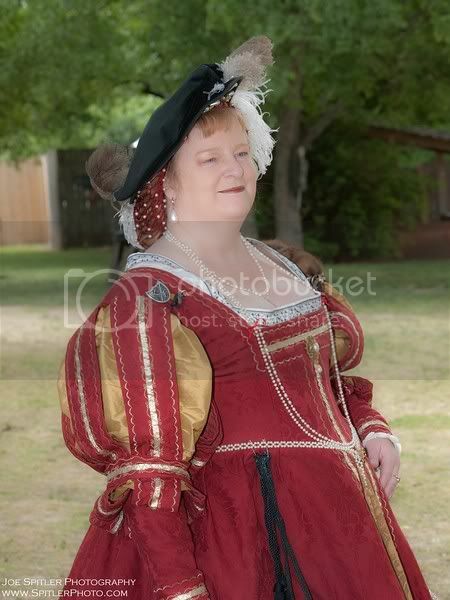 That should be better for generating interest in Renfaires through 2015. Huzzah! I've been further told (by the Mrs.) that the Hobbit movies are going to include more background stories that tie into the Lord of the Rings. Making prequels is all the rage now. I wonder if its background from the LOTR or background from the Silmarillion. I will admit I will go and see it, all three parts, in the theatre. But I wonder why they go through the work of adding to a single book to the point where it takes 3 films, after taking so much out of the LotR books to do those movies. I'm reading The Hobbit to the kids right now, and it is such a complete, yet simple story. The Don's thoughts were maybe they will get the complete book in this time. But who knows? It is odd to drag 1 book out into 3 movies. I guess that's the rage now. I believe that the background will all be about LoTR. I think you may be right, Craigmeister. I've read that they are bringing popular characters such as Legolas, who was not in The Hobbit, back for these films. I've heard they might be adding in Tom Bombadil, and Goldberry, and a bunch of other characters that had parts in LotR, and in other stories. I remember hearing the news about The Hobbit being split into three movies. Most likely, I will go to see all three parts of The Hobbit. I wonder how they will manager to put enough material into number three though. I am guessing they will use material in the appendices of the Lord of the Rings trilogy. Legolas inspired me to buy my first bow. It was a piece of junk compound bow though. A few years ago I was blessed to find a very nice longbow from Stickbow Archery at the 4 Winds Faire in Texas. I started re-reading "The Hobbit" today. I'm getting excited about the movie! Yes! I want to re-read it too but my son has my copy and he lives in another state. Guess it's roadtrip time! I just finished reading the Hobbit to the kiddos. Trying LotR now, but it doesn't hold their attention as well.